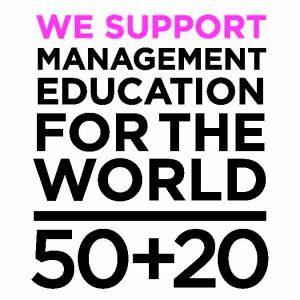 Business School Lausanne supports the 50+20 vision “Management Education for the World”. 50+20 is a collaborative initiative of education providers from around the world who critically question the current thought and practice in the field. The 50+20 Agenda conveys a new vision for management education – to design and lead businesses to build a better and sustainable world. The vision calls on business schools to embed sustainability, ethics, and corporate social responsibility in their curriculum. It was presented for the first time in 2012 at the Rio+20 United Nations Conference on Sustainable Development. Read more about BSL’s involvement in 50+20 activities.